Nice...and...hot! 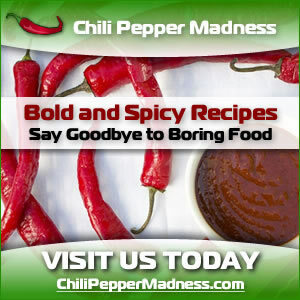 Bring the roasted jalapeno peppers and habanero peppers for a pesto sauce that you may need to break out the fire hose to douse the resulting flames on your tongue. We absolutely love homemade pesto sauces, but when you introduce roasted peppers, especially habanero peppers and jalapenos, you've got a spicy winner. 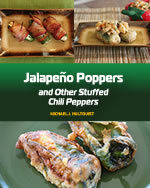 Slice habanero peppers and jalapeno peppers in half lengthwise, then place on a baking sheet. Bake 20 minutes, or until skins begin to blacken and blister. Meanwhile, heat a saute pan to medium heat and add 1 teaspoon olive oil. Add potato and cook about 2 minutes. Add pecans and cook about 3 minutes. Add onion and cook another 4 minutes, stirring frequently. Add garlic and cook an additional minute, stirring frequently. Ensure potatoes have soften sufficiently. 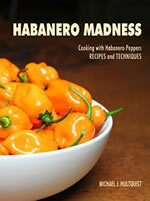 Transfer to a food processor and add habanero peppers, jalapeno peppers, cilantro, Parmesan cheese and 1/4 cup olive oil. If you prefer to thin your sauce a bit, slowly drizzle in chicken stock or reserved pasta water (if you're serving over pasta) and process until you achieve your desired consistency. 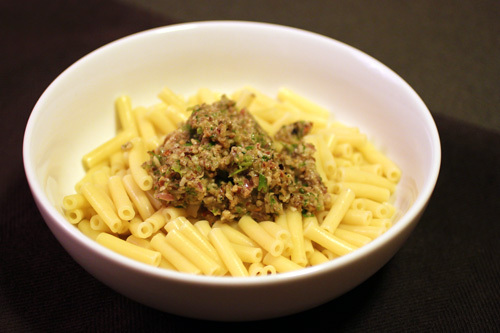 NOTE: We served ours over mini ziti noodles, and we prefers our pesto sauce more on the thick and chunky side.